It's finally boot season! Something a lot of people do right now that really irks me is wear really...plain...boring...boots. We are individuals! Why not show it in on our shoes? Outfits stand out when they're different. Whether your style is boho, classic or rebellious, small details on your shoes can really make a statement about you. Need some proof? A few times a year I see an elderly woman walking around my neighborhood. She is always wearing really bright Coach sneakers in the craziest patterns. Do I know her? No. Do I want to meet her? Absolutely! Her shoes tell me that she's pretty awesome!! 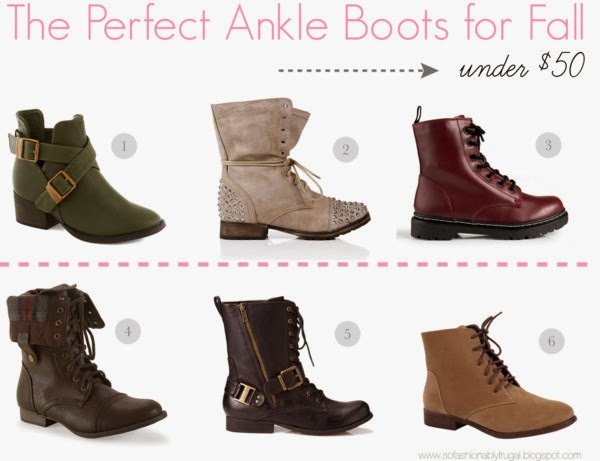 So...to get you guys started on finding your new perfect pair of boots, here are some that really speak for themselves. What's the craziest pair of boots you own? Share below!